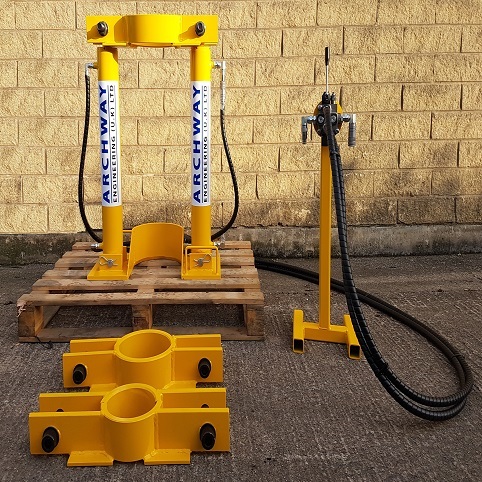 Modular 26 ton extraction jacking system for casing. Introducing the Archway Casing Extraction Jack. The jack is of modular construction can be dismantled for easy transportation and reassembled on site within a matter of minutes. Clamps can be manufactured for casing between 4.5″ and 12-3/4″. The system requires a hydraulic pressure of 150 Bar to actuate. The combined pull back of the two cylinders is 26,000kg.